Asahi Pentax Spotmatic SP, 35mm SLR. Photograph gallery. The contemporary images on this page are courtesy of Mr. E, Walker, the Spotmatic's original owner, who served aboard HMS Ark Royal during the 1970s. One of 'The Ark's' resident helicopters that stand by during launch and recovery processes just in case someone ends up in the drink. 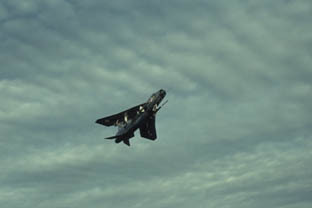 A wise precaution as naval aviation is statistically about the most dangerous form of aviating you can take part in. 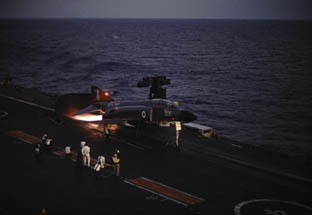 The Ark's steam catapult launches the Phantom off the angled deck. The hydraulic extra nose leg extension ensures a suitable angle of attack. 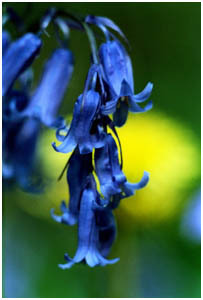 Whilst the subject of the photo maybe a little blurred - it certainly adds atmosphere. 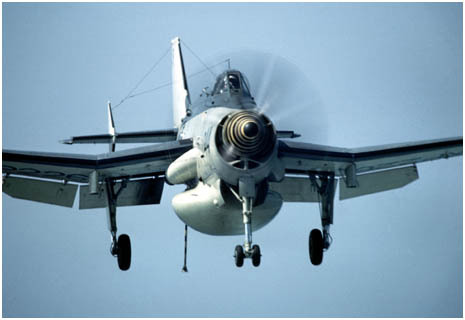 The ungainly, but strangely attractive form of a Fairey Gannet AEW3 approaching Ark Royal to land, the hook down ready to catch a wire. 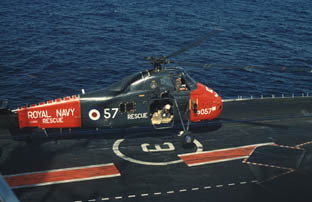 Aside from it's Airborne Early Warning tasks, the Gannet also acted as the ships postal service on occasions. This aircraft, XP226, survived it's Royal Navy service, spent some time as a 'gate guardian', languished outside until it got a bit tatty but finally landed back on firm ground and now lives in a warm hanger at the Newark Air Museum. 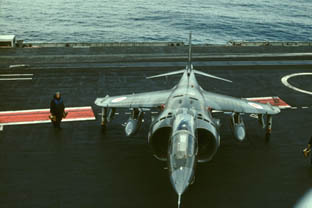 All the following pictures courtesy of Mr. E, Walker, the Spotmatic's original owner and feature RAF aircraft paying Ark Royal flying visits during the early 1970s. 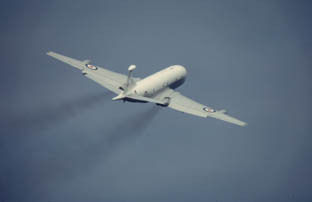 Nimrod MR1 XV232 pulls up after a low flyby. 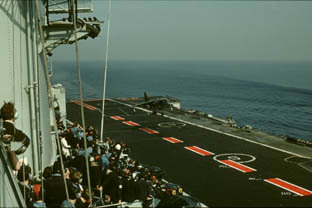 Three images of an historic event as an RAF Harrier GR1 touches down on Ark Royal's deck during trials that lead to the adaptation of this type for the Navy as the Sea Harrier when larger carriers were phased out. 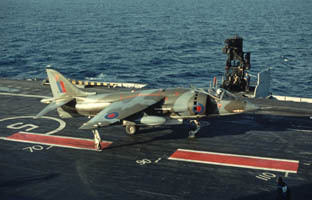 This Harrier, XV795, started life with it's first flight on 24/7/70 and went to No.1 Sdn at Wittering in September of that year, so must have been quite new when these pictures were taken. Modified to GR1a standard in 1977 then to a GR3 the following year. XV795 ended her life on 23/2/83 in a smoking crater after a mid air collision near Peterborough, the pilot successfully ejected. Some wag in Flight Op's managed to talk the pilot of this Lightning F6, XS934 ,to have a go at a touch and go on the deck, fortunately he bottled it and is seen here going around. 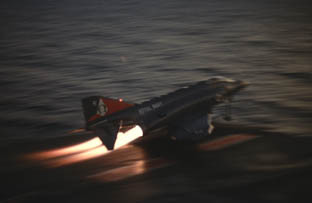 This Lightning which made it's first flight 11/5/67 ultimately wound up in the Mediterranean Sea after crashing off Cyprus on 3/4/73, the pilot ejecting safely. 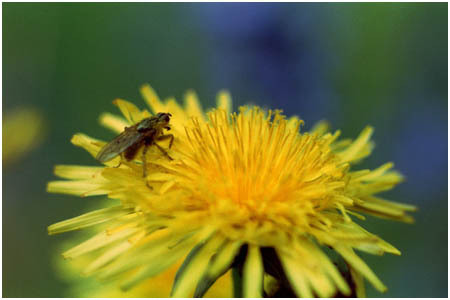 Subsequent images have been taken since the Spotmatic joined the LICM. The donation of this camera was all the more wonderful as it came with a Takumar 105mm telephoto and close up bellows as well as a box of other interesting accessories. Extreme close up photography was something I had never really tried, so this donation supplied the perfect excuse. 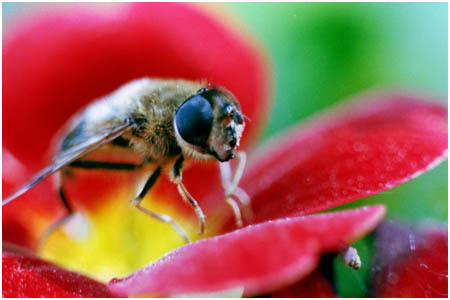 So at right we have this hover fly taken with the 105mm, racked out a fair way on the bellows and tripod mounted, it was a bit breezy - so maybe this accounts for the slightly softer result than I had hoped but it's certainly colourful. The two images below replicated the setup but hand held to see if this was possible, actually I was laid flat face down in the mud with my elbows acting as a duo pod. None of these images are cropped.